Me : "What it is?" B : "Hmmm its a new culinary in Malang?I've been trying it in Semarang. 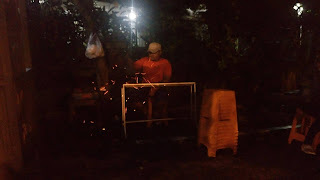 Everyone's name it Can can hmm I forget, but its very spicy"
A : "Yup and its a delicious hmmm one is not enough... Satay chan satay chan..."
Okay, you may curious Satay Chan? What it is? 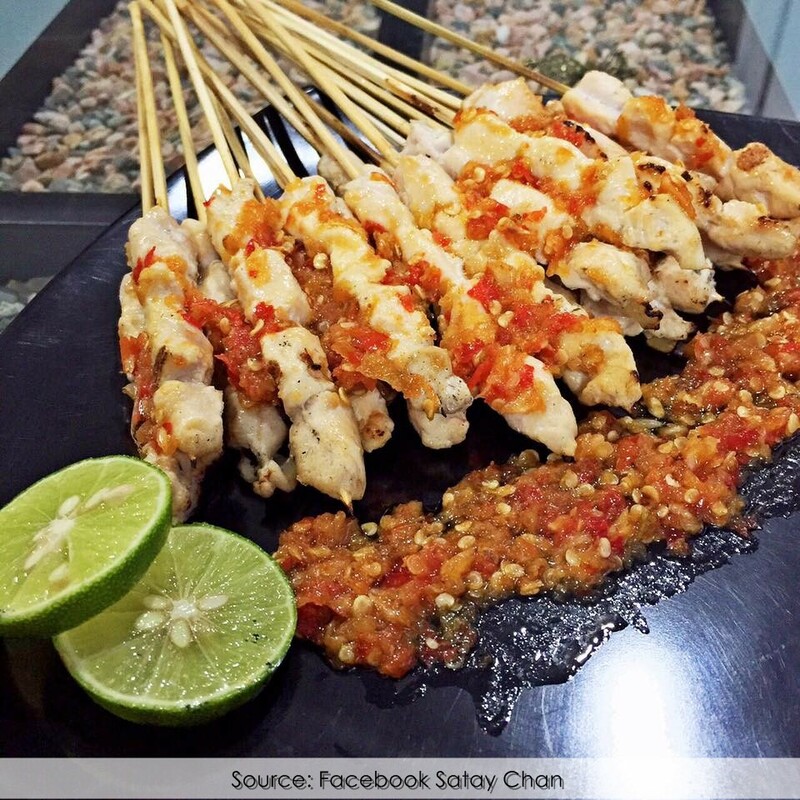 What is the difference between satay chan and another satay? 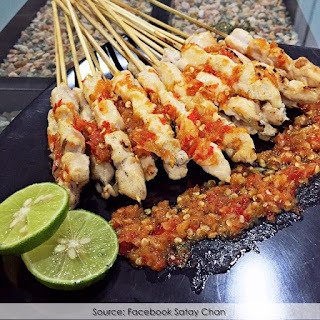 Satay chan is a satay (of course) from chicken meat that grill without ketchup and peanut sauce its why satay chan have a white colour and the side dish is spicy sauce (contain of chilli, onion, and garlic) with lime. So the difference between satay chan and another satay is the seasoning. For you that like spicy food you must try this food and for everyone who are dieting its a safe dish for you hehe. I'll give a review for satay chan. 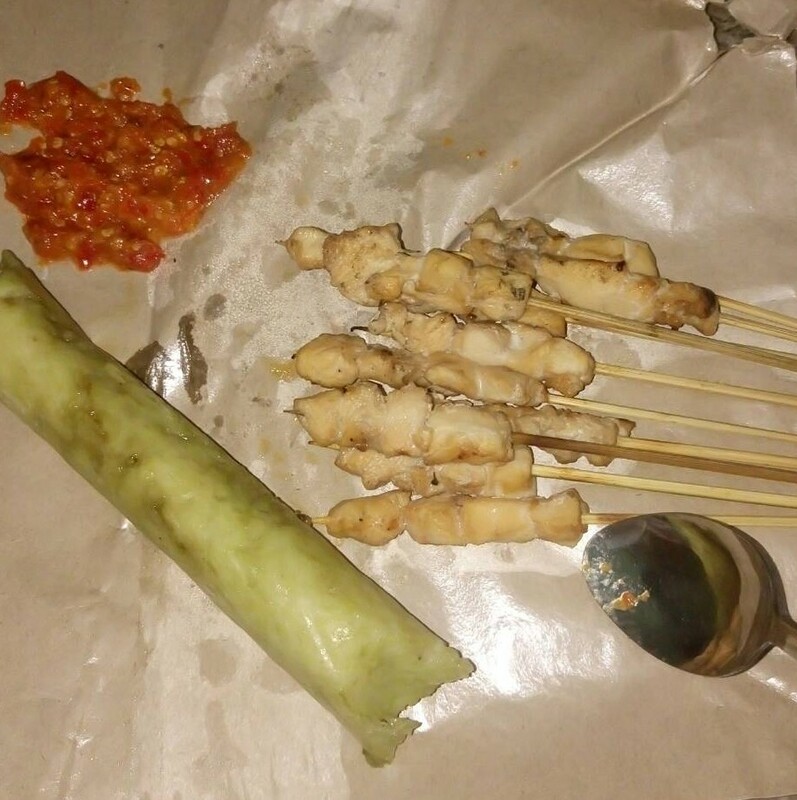 It's a delicious satay and unique cause have a different colour with spicy sauce (it's like "sambal bawang//onion sauce") for me, but its very nice for your hungry SOS maybe sometimes you can make challenge "Satay Chan challenge". I give a 9/10 for satay chan. Ah, maybe its a recommendation for owner maybe next time make a level of spiciness. Its more challenging, right? 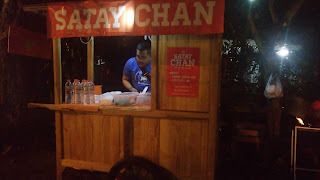 FYI Satay Chan logo is "Satay Chan with Japaness letter" but I'm not sure if Satay Chan originally from Japan or there is a reason like to persuade people. But I like the stand design feel like a food street in the neighbour country.